This guide will help you understand how Spring Boot Starter Projects enable the key goal of Spring Boot - Quick Start to developing production ready applications. What features are provided by Spring Boot Starter Projects? 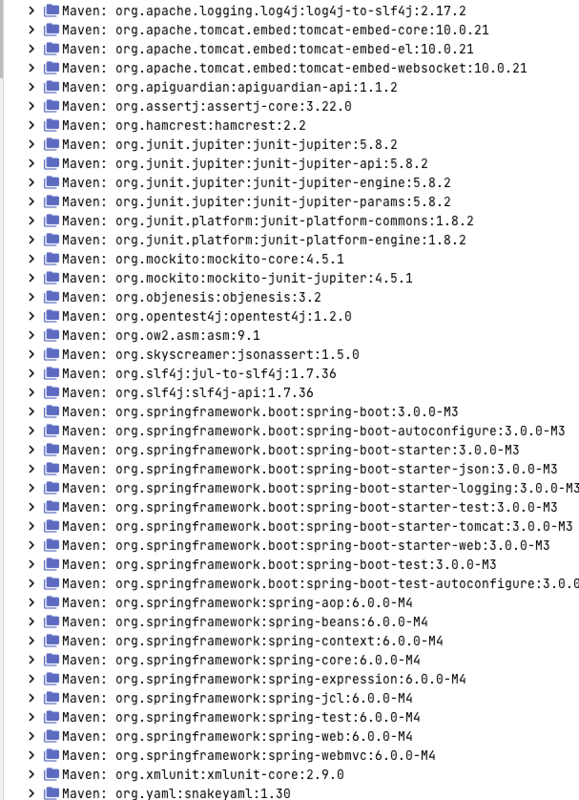 Get an overview of different starter projects provided by Spring Boot. Why do we need Spring Boot Starter Projects? To understand what starter projects provide, let’s consider an example project without using a starter. What if we do not have starter projects? Let’s say we want to develop a web application with Spring MVC. Listed below are some of the dependencies we use in our Spring MVC Course. These include Spring MVC, Jackson Databind (for data binding), Hibernate-Validator (for server side validation using Java Validation API) and Log4j (for logging). When creating this course, we had to choose the compatible versions of all these frameworks. We had to add configuration to get all the stuff wired together. Configuration for dispatcher servlet, view resolver, error page, web jars among other configuration. When using JPA, we would need to similar stuff. We need to add the jars and the configuration for datasource, entity manager, transaction manager etc. As shown in the image above, following steps have to be done. Spring Boot Starter Web auto configures the basic things that are needed. To understand the features Spring Boot Starter Web brings in, lets run StudentServicesApplication.java as a Java Application and review the log.